Kiran Bedi's two years in office have been fairly controversial, with constant run-ins with Chief Minister V Narayanaswamy. Kiran Bedi's first tweet baffled many who wondered what she meant by saying "we won". 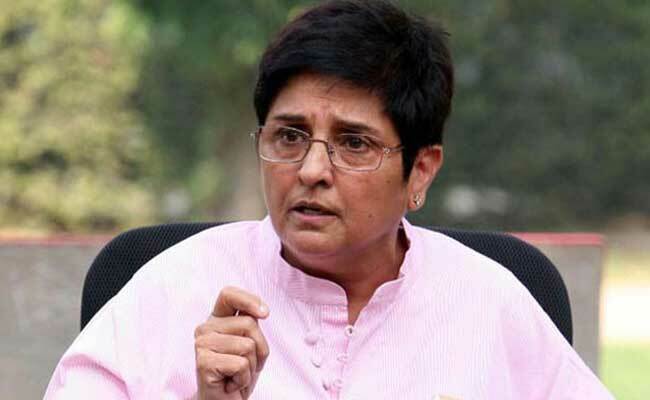 Kiran Bedi underlined that Puducherry is an "erstwhile French Territory"
Many wondered what she meant by saying "we won"
Kiran Bedi, the Lieutenant Governor of Puducherry, has been bombarded with criticism on social media over her tweets congratulating France for its FIFA World Cup victory. "We won," she tweeted in her first reaction, in a reference to Puducherry's past as a French colony. "Congrats my brothers & sisters in Puducherry. We won. In Puducherry we can build on this spirit of celebration by promoting football in UT by organising inter village, inter town and inter city football tournaments. It costs just ONE ball to unite, as was visible in French Team," she tweeted last night, after France defeated Croatia 4-2 in the FIFA final. As the message gathered more criticism and derision than World Cup cheer, Kiran Bedi followed it up with a tweet underlining that Puducherry is an "erstwhile French Territory". Puducherry, earlier known as Pondicherry, was a French colony until it merged into the Indian Union in 1962. Ms Bedi's first tweet baffled many who wondered what she meant by saying "we won". India, after all, ranked 97th in football by the last count and did not play in FIFA. Then came another tweet, with more explanation. It's spiritual and nature gifted. As far as her critics went, every tweet made it worse. Ms Bedi, a former Indian Police Service officer, was appointed Puducherry's Lieutenant Governor in 2016. Her two years in office have been fairly controversial, with constant run-ins with the Congress government and Chief Minister V Narayanaswamy. After facing flak over the congratulatory tweet, Ms Bedi on Monday told reporters everyone was thrilled over the win, hence she was sharing joy with the Puducherrians. "People here are very proud of their French heritage. Everyone was thrilled because they felt connected with the win. I was sharing joy with the Puducherrians," Ms Bedi was quoted as saying by news agency ANI.